Our son finished his second year of high school last week. He works hard but school isn’t his favorite thing to do. He would much rather go the beach with his friends. On the day after final exams ended, he slept later than usual and offered to drive me to work so he could use my car to go surfing. While I was having some breakfast, I heard him whistling in the back of the house. As I was listening to the random notes, I realized the stillness in the house that allowed his teenage song to fill the void. It was a moment to recognize and remember. Whistling is what you do when you haven’t a care in the world. Have you heard much whistling lately? Neither have I, but I think I’ll listen more carefully and add some music of my own. 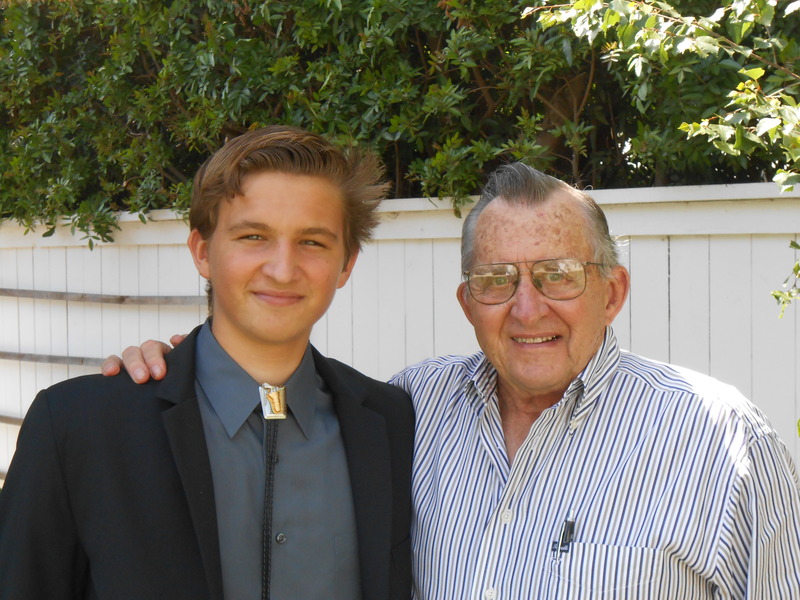 Here’s my son Collin with his grandfather Frank. I think Frank whistles too. This entry was posted in Travel and tagged Bali, Camino de Santiago by rambler1959. Bookmark the permalink.